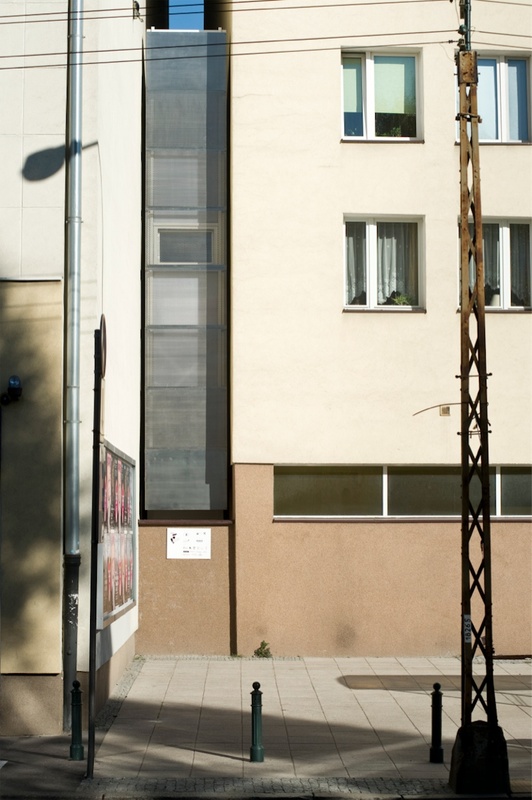 …this skinny project has actually come to see the light of day, thanks to funding from The Foundation of Polish Modern Art and Warsaw Town Hall. 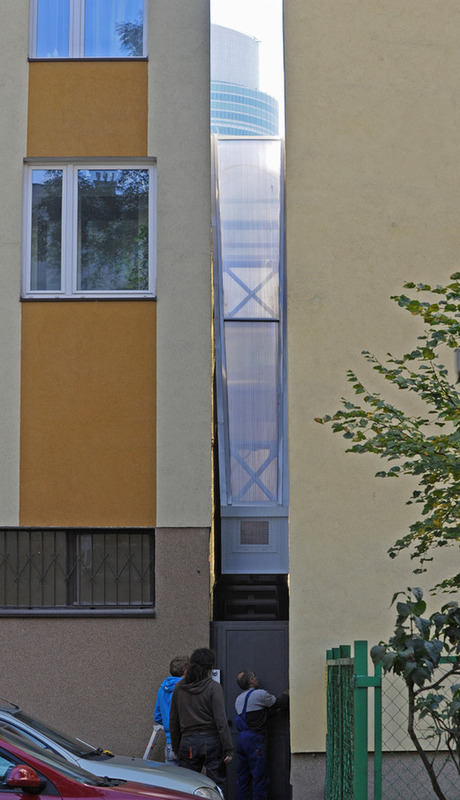 The Architect, Jakub Szczesny of Centrala, designed the home with a semi-transparent, polycarbonate surface so light would enter and the resident wouldn’t feel claustrophobic. 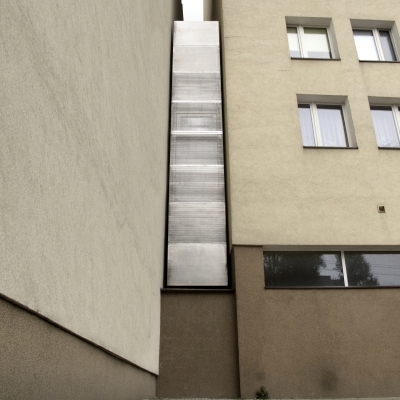 However, that fate may be difficult to avoid – after all, the 3×5 ft structure is wedged between two buildings, can only be entered via ladder, and has no windows. 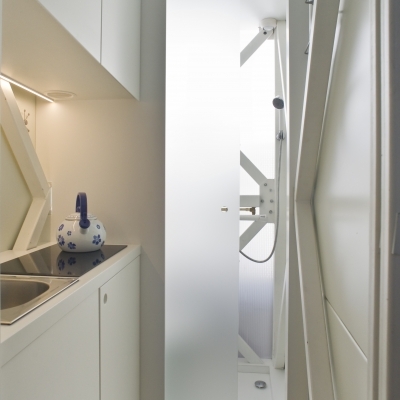 Even the fridge can only hold two drinks at a time. 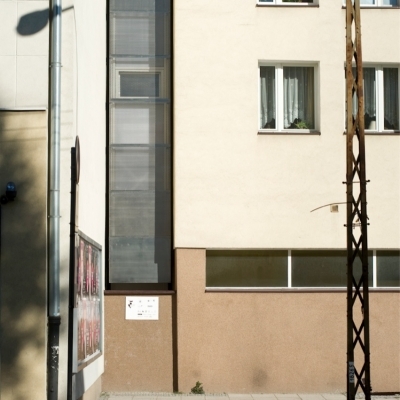 In Warsaw, Poland in the district of Wola lies a small crack of space between the buildings on 22 Chlodna Street and 74 Zelazna Street. 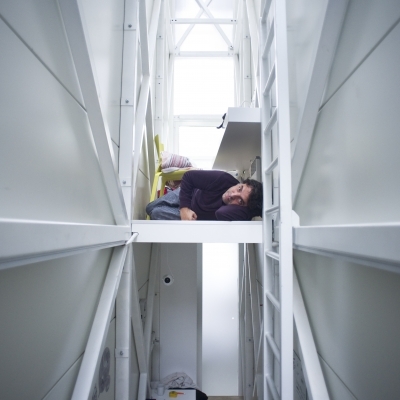 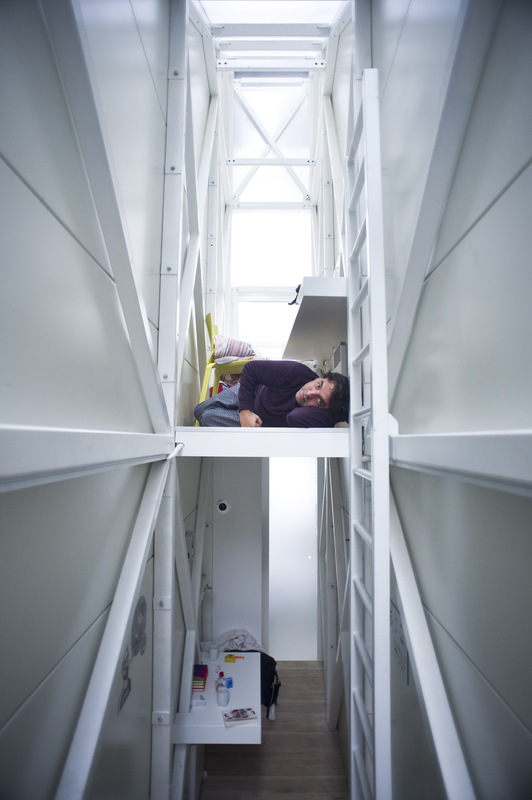 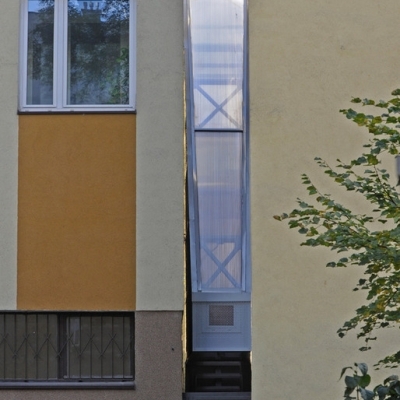 Jakub Szczesny of Centrala, recognized the potential to create something unique within this narrow area, and derived a design of an art installation entitled Keret House. 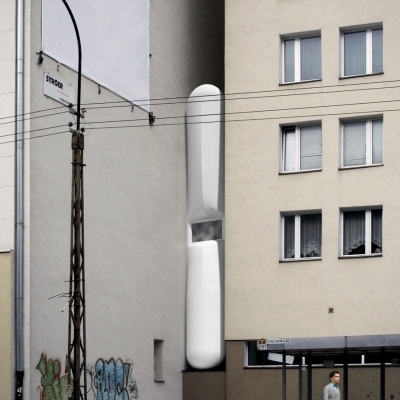 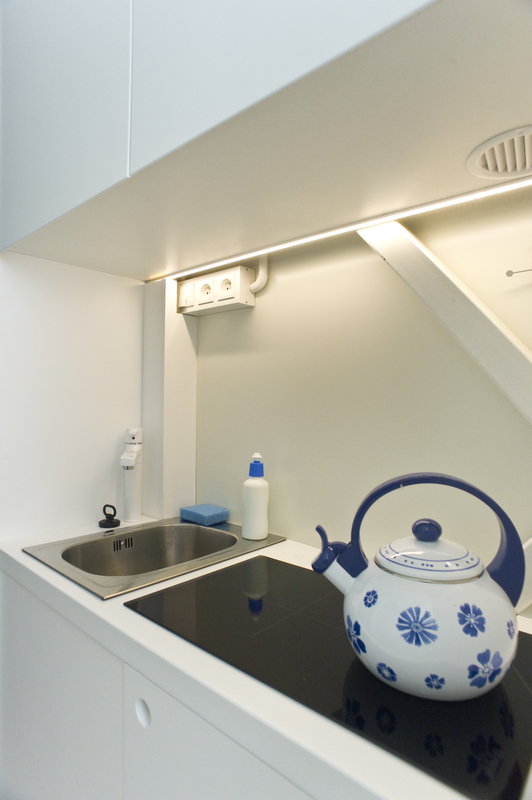 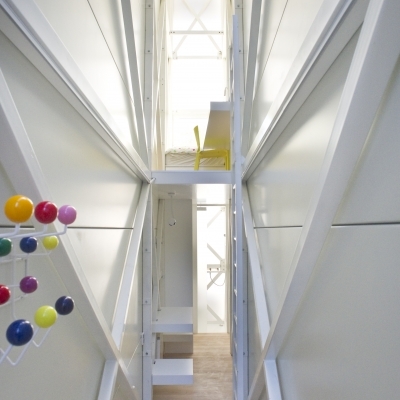 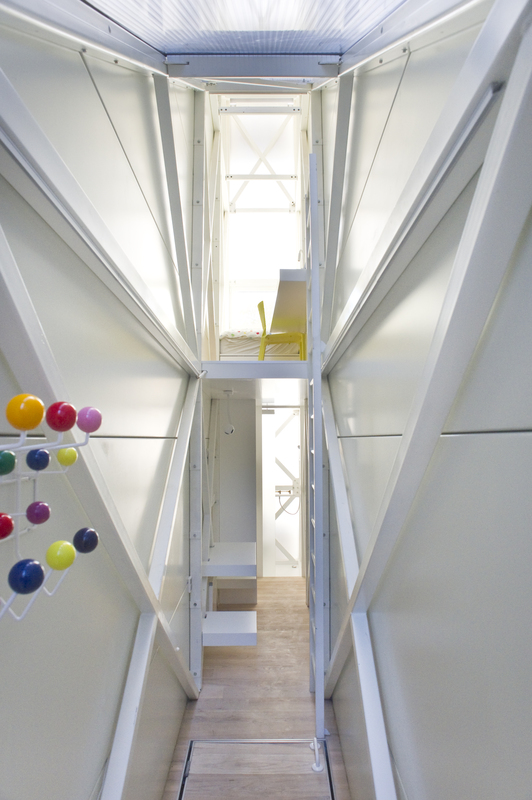 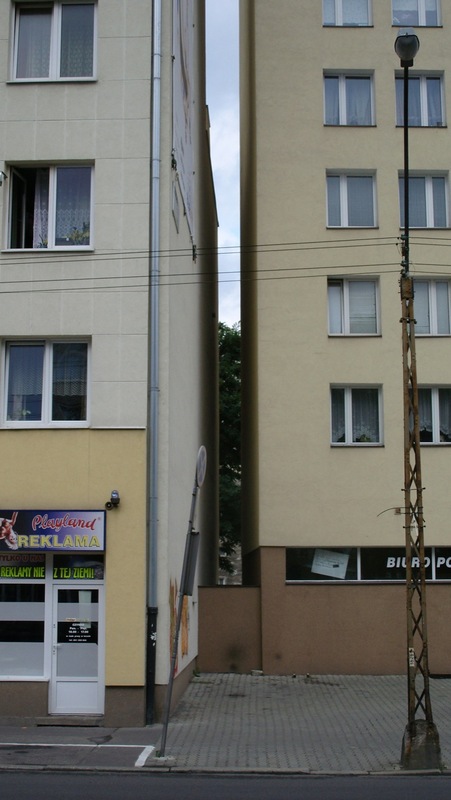 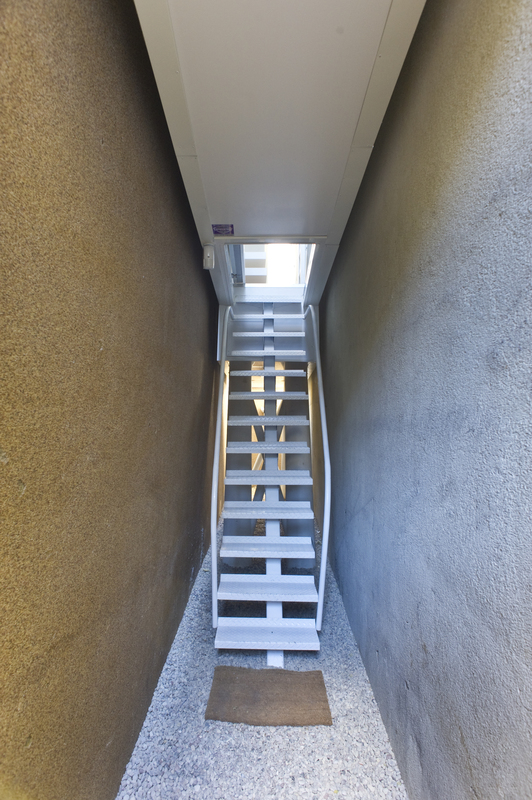 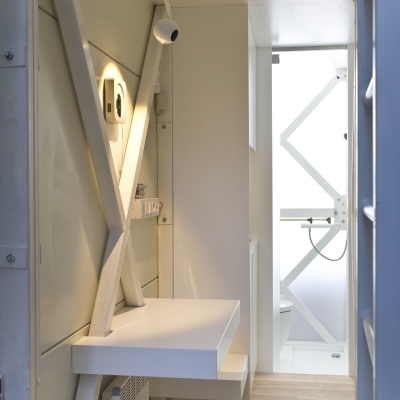 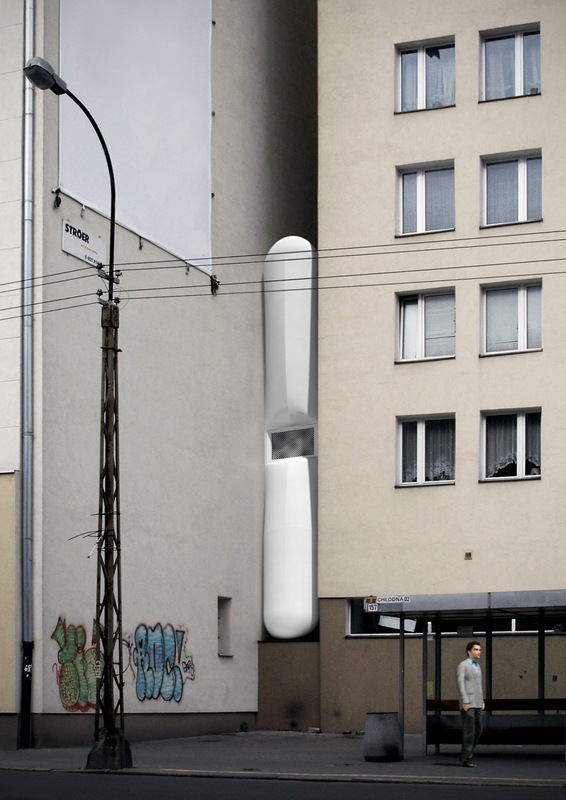 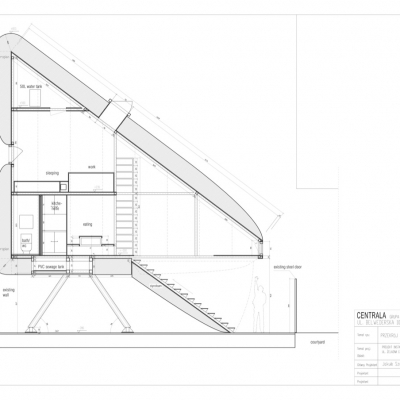 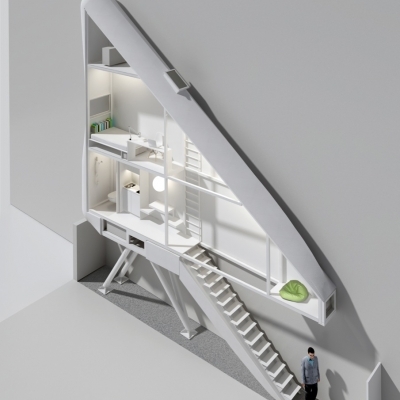 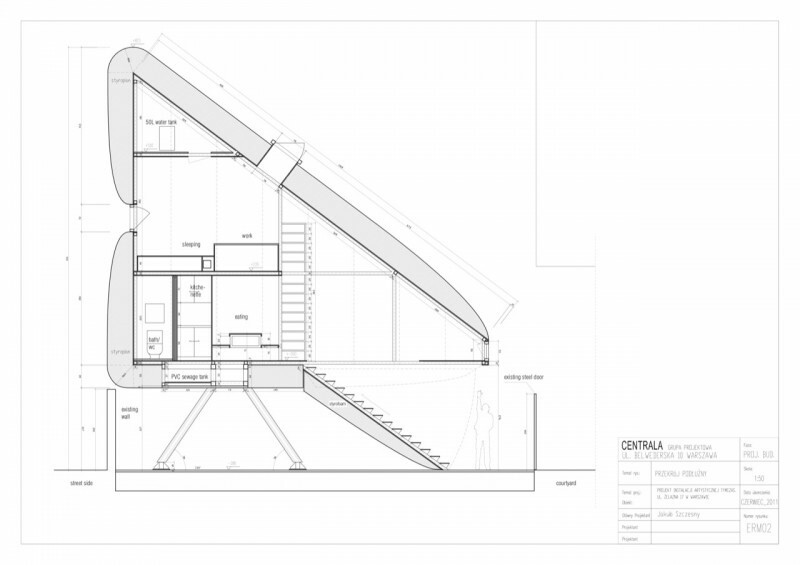 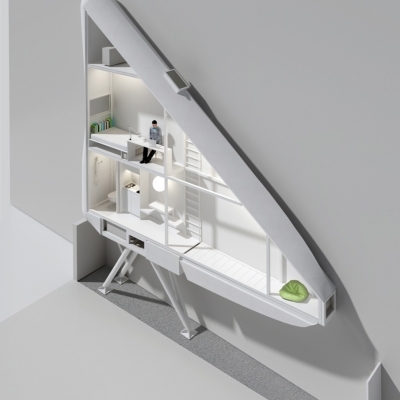 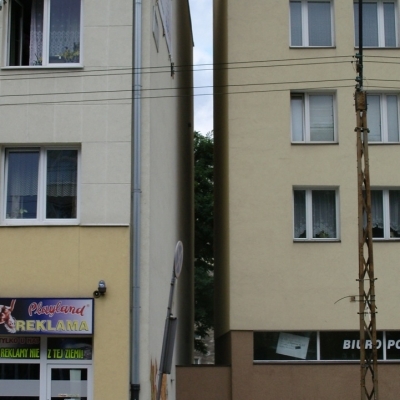 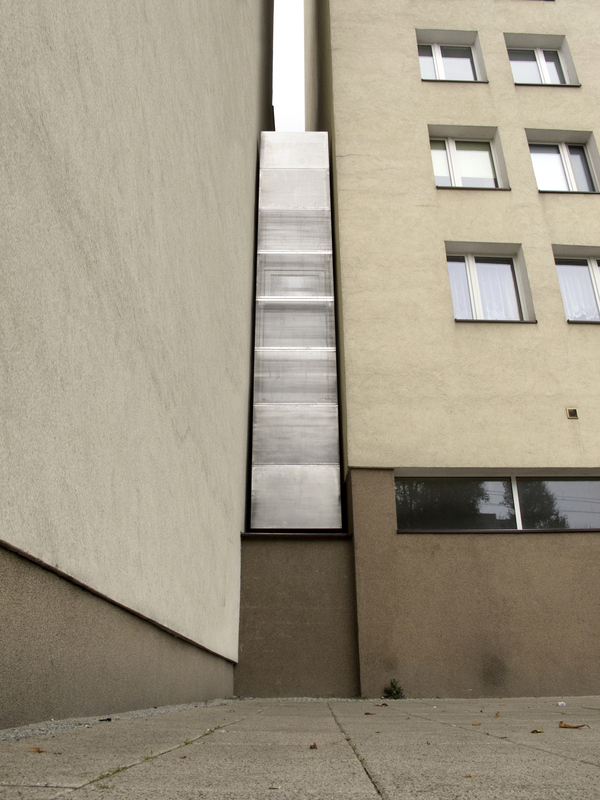 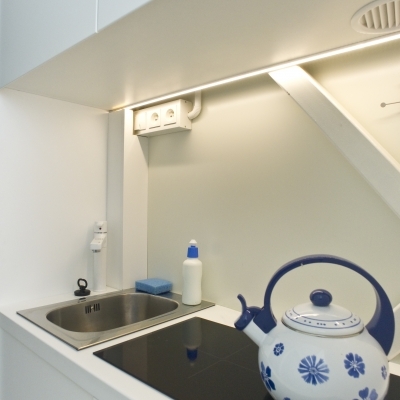 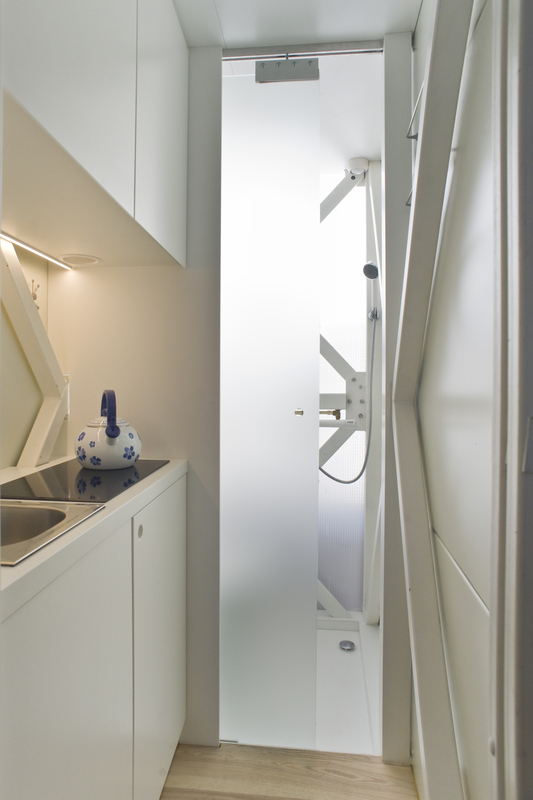 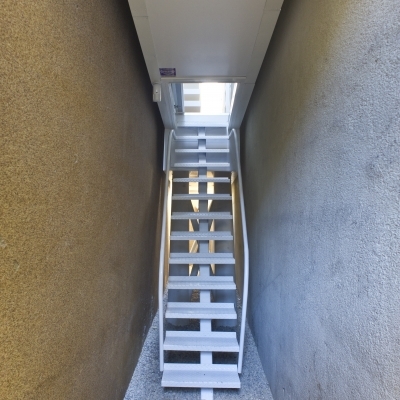 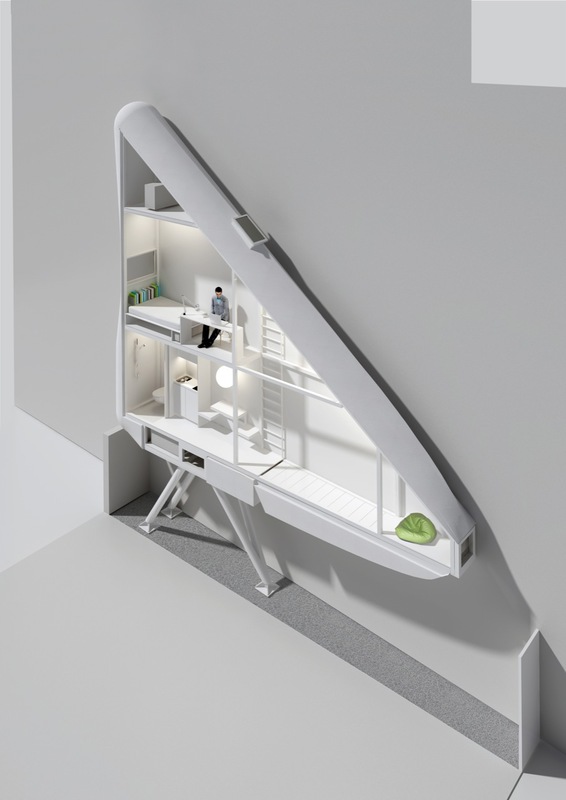 The house upon completion shall become the narrowest house in Warsaw, measuring an interior that will vary between 122 centimeters and 72 centimeters (4 ft-2.4 ft) in its narrowest spot. 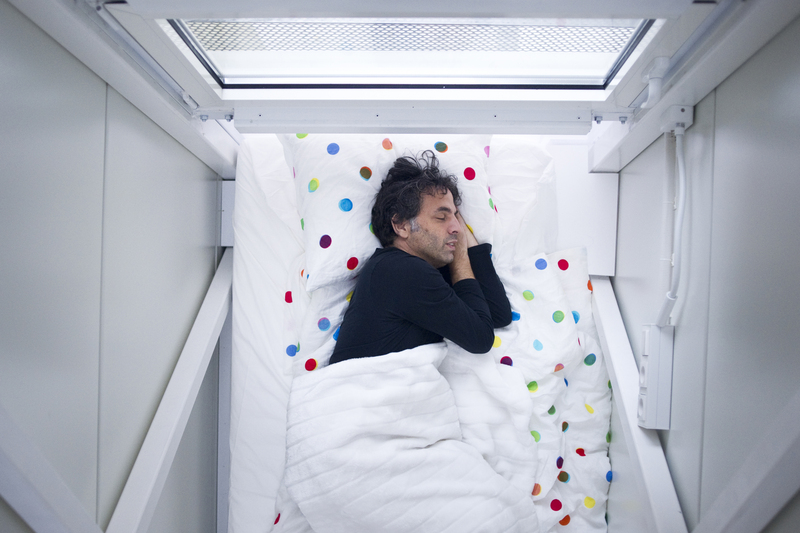 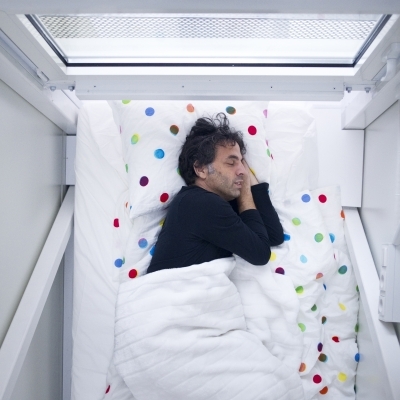 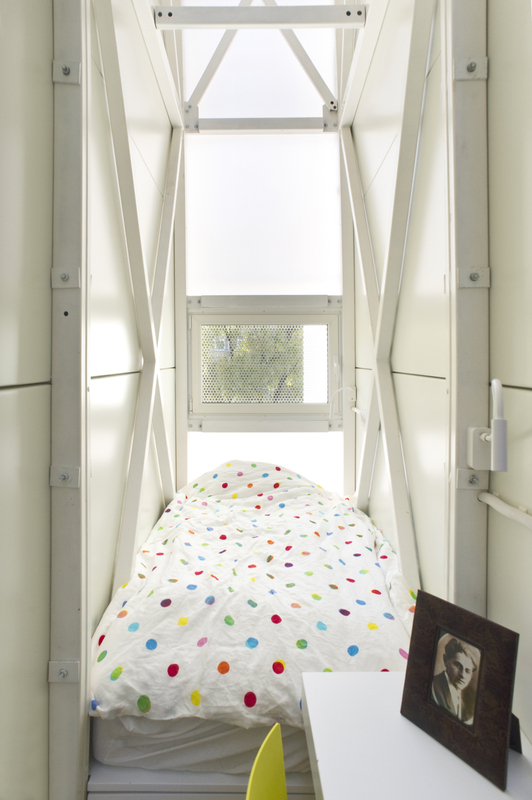 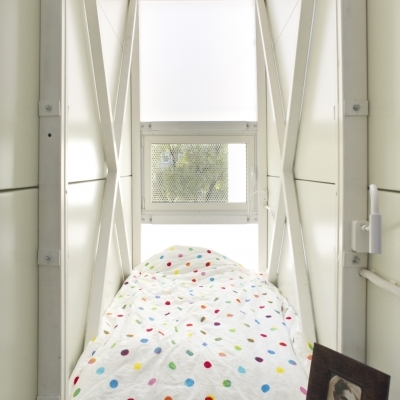 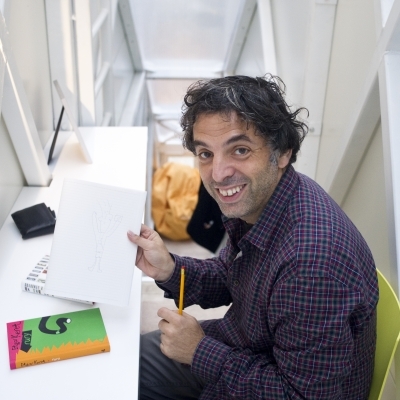 The house will be a workplace, a hermitage created for an outstanding Isreali writer, Etgar Keret. 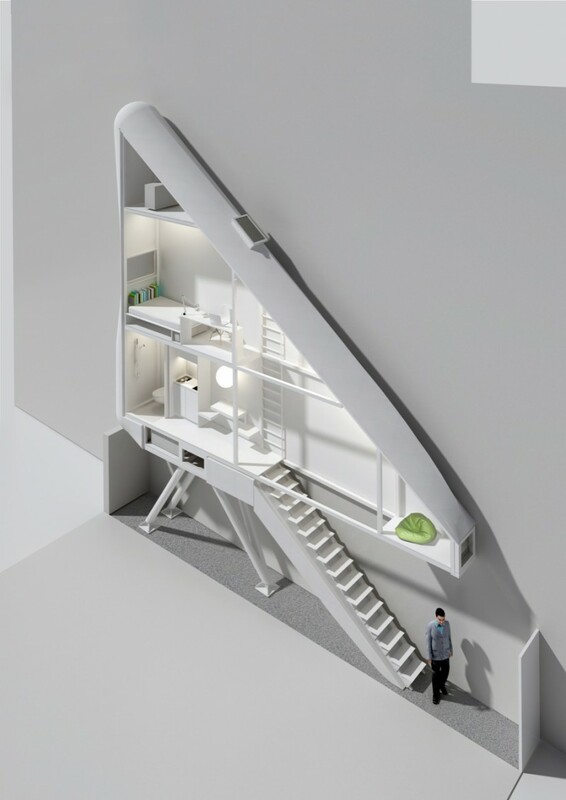 Besides, it will also fulfill a function of a studio for invited guests – young creators and intellectualists from all over the world. 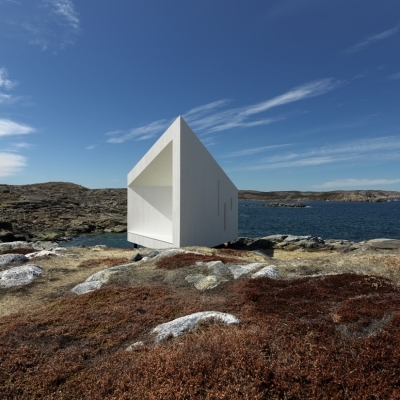 Structurally the house is a simple tri-dimensional steel frame finished with plywood, insulated sandwich panels and styrofoam covered with concrete cloth painted white. 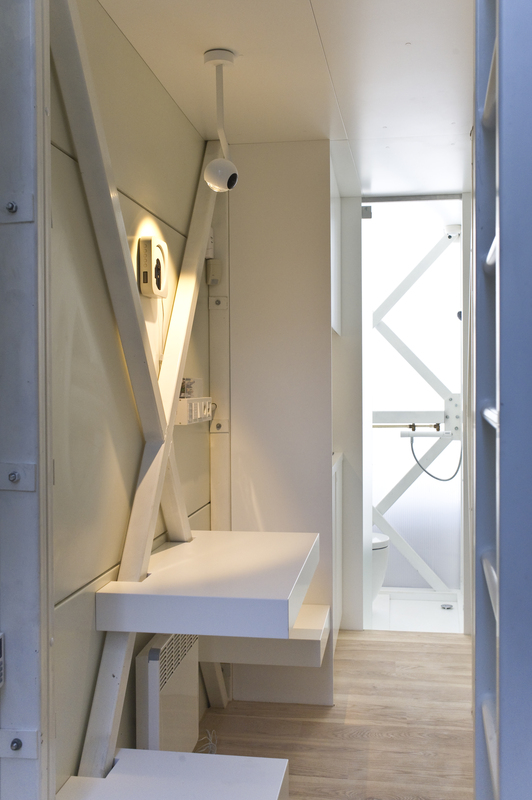 The interior will also be painted all white. 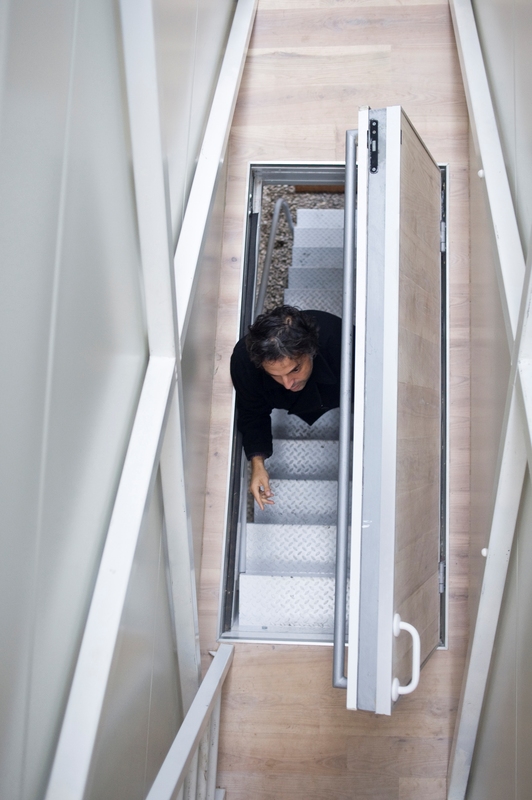 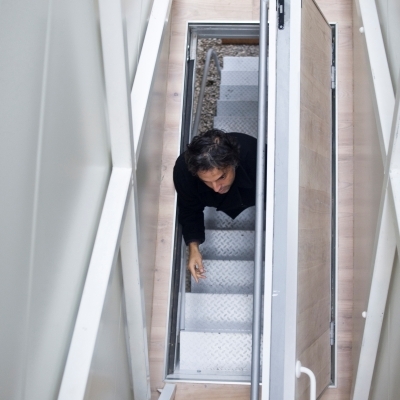 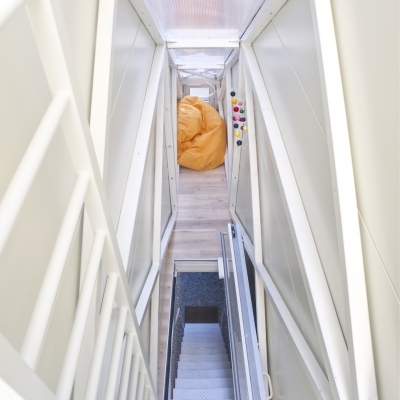 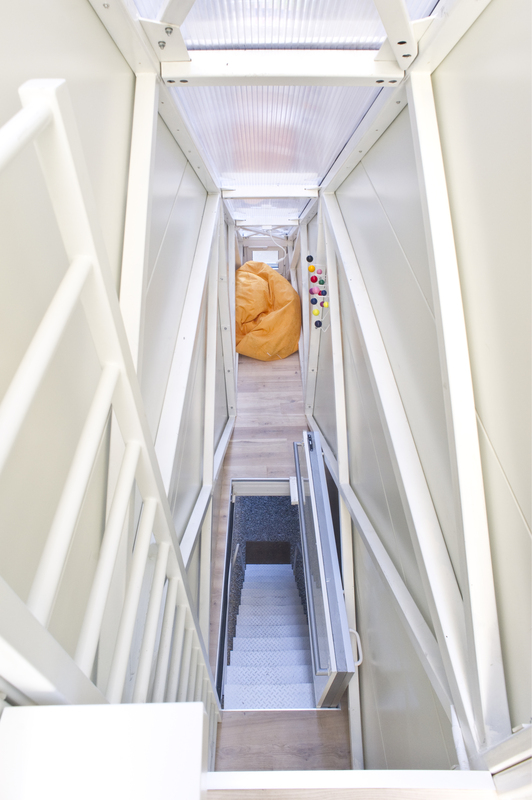 The “living” will place itself on the transformable, remote control openable stairs, that flatten themselves when being in”up” position and become regular stairs when going down. 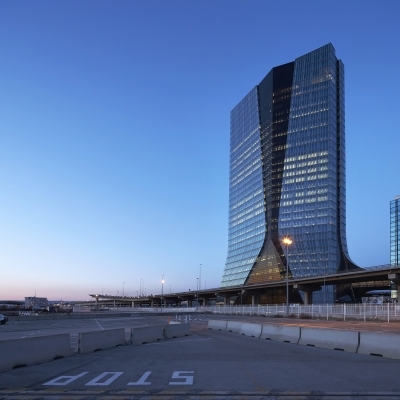 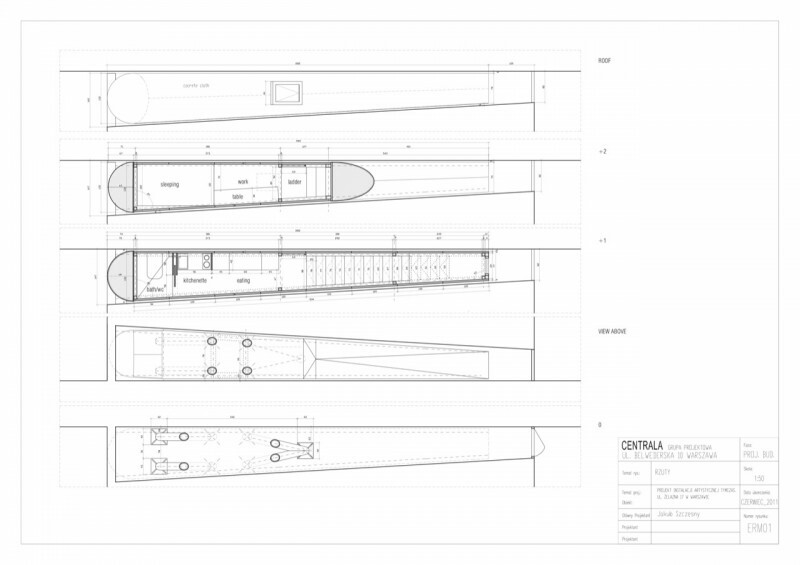 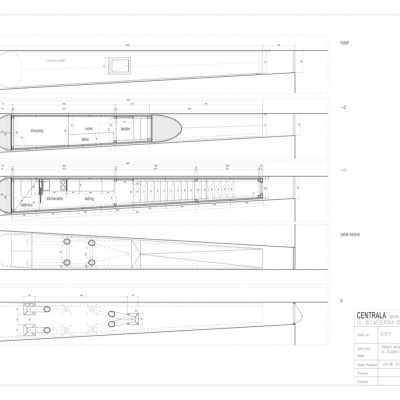 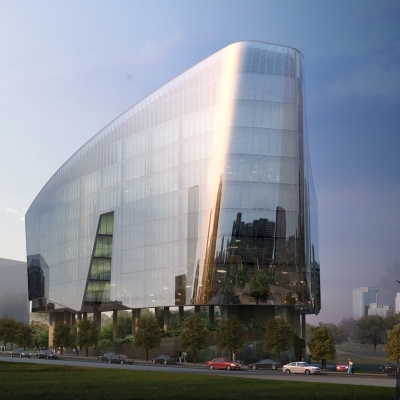 It will be equipped with boat-inspired water and sewage technology independent from city systems, the electricity will be delivered by a neighboring building. 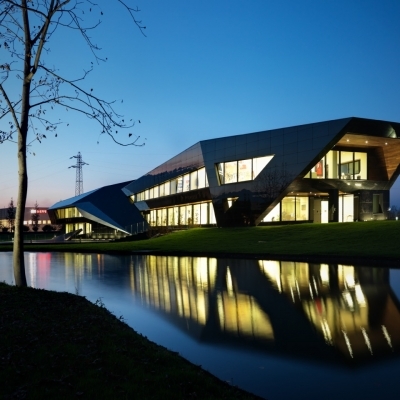 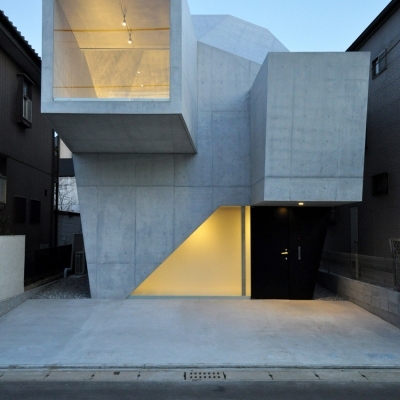 UPDATED (from October 24, 2012): new interior pics via ArchDaily. 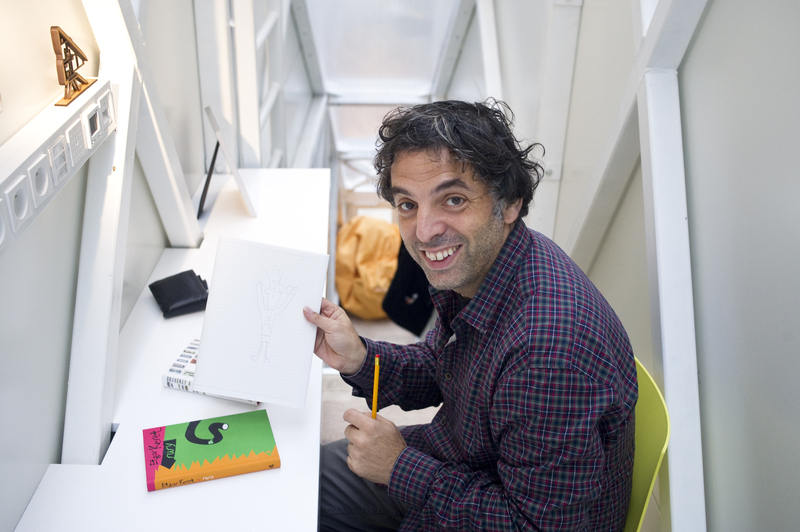 You can view the new pics in the gallery at the end of this post.